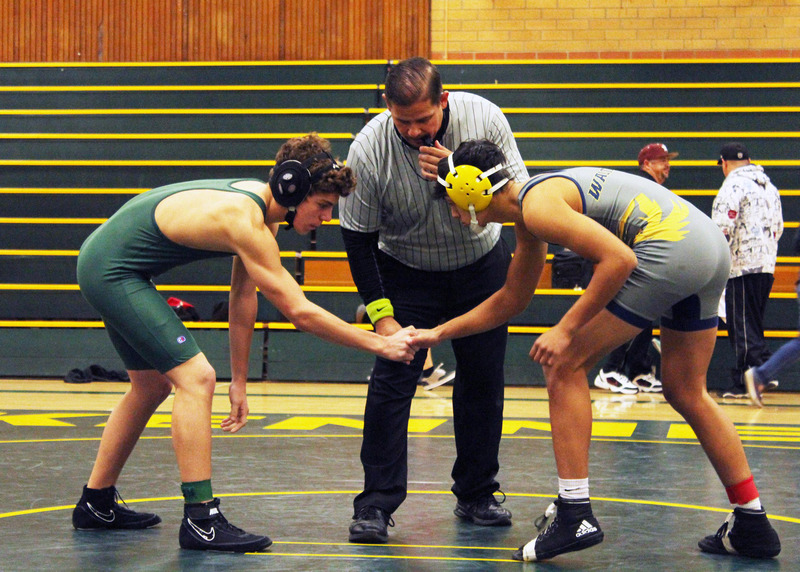 Kennedy’s co-ed wrestling team continues to grapple with diversity and success, pairing an influx of greenhorns with returning veterans to produce a recipe for success. Standing out for the boy’s team are brothers Lesane (‘9) and Jordan Noble (‘11), who both have multiple tournament gold meals. Aside from sharing the mat, they are also undefeated in the Metro League. Other exceptional players include Jad Eid (‘11) and Abdurraham “Man-Man” Garner (‘10), who have double digit wins this year and plan to go onto win individual league titles in their respective weight classes. Continuing the trend from season prior, the female presence on the team has increased. Returning female wrestlers, Anna Fukuhara, Jazmine Koehler, and Antonia Hart are joined by first year wrestler Ariella Sanchez (‘10). All hope to make it to the Girls’ Sac Joaquin Masters tournament. Cougar wrestler Jazmine Koehler (11) displayed her 1st place gold medal at the November 25 tournament at Inderkum High School. Koehler has won two tournaments this season in her weight class, with Fukuhara and Hart receiving medals alongside each other. 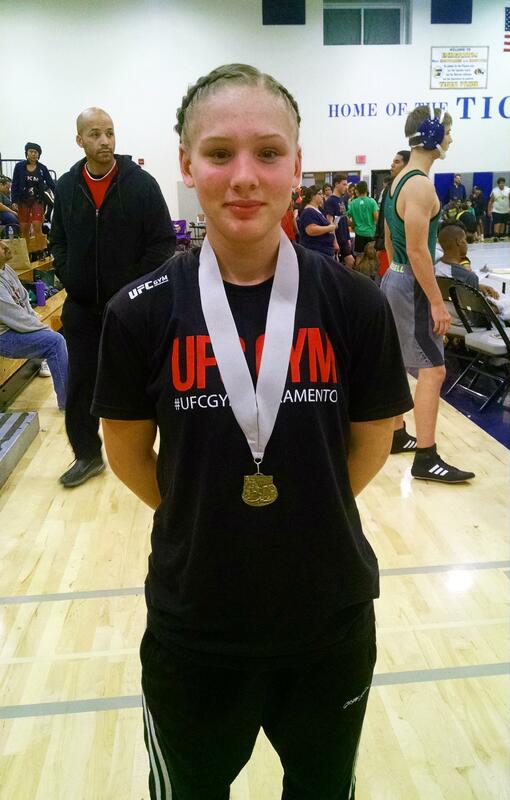 Sanchez, though still learning the ropes, was able to claim her first medal in Yuba City this December near the beginning of the season. “Wrestling requires quite the commitment, according to Coach Brian Ewing. “In just a six minute match, you can feel wiped out. In a tough match, your lungs can burn, your legs and back can be worn out, and your forearms can be completely swollen,” he said. Other challenges of wrestling include working out regularly and cutting calorie intake, both of which improve the overall performance. Many cannot comprehend the difficulties that come from being a wrestler; it is a sport that requires great mental and physical endurance. “Once you have wrestled, everything else in life is easy.”quoted Ewing from the American Olympic wrestler, Dan Gable.